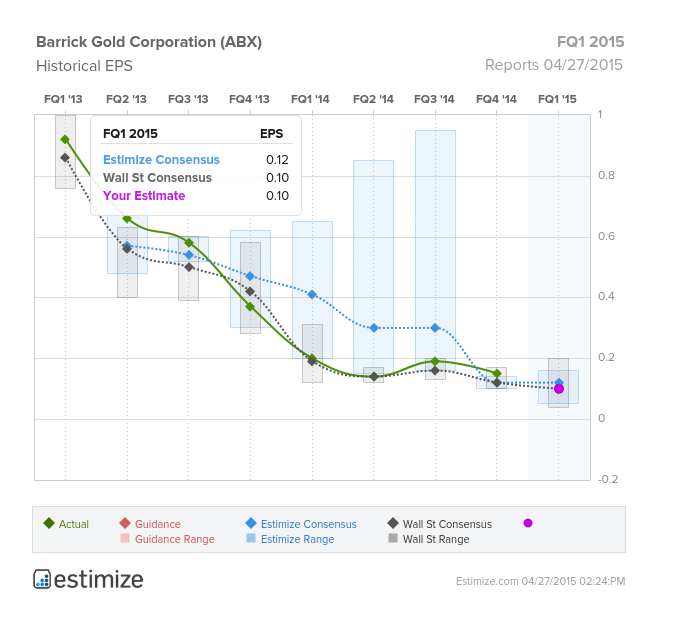 Will Barrick Gold Report A 50% Year-Over-Year EPS Decline? Shares of Barrick Gold Corporation (USA) (NYSE: ABX) are up about 2 percent on Monday morning, as the company prepares to report its quarterly financial results on Monday, after the market closes. According to Estimize, the crowd is slightly more bullish than the Street as earnings loom. The former is expecting EPS of $0.12 on revenue of $2.338 billion, while Wall Street research firms model consensus EPS of $0.10 on revenue of $2.332 billion. These estimates stand well below the EPS of $0.20 reported in the same quarter last year, and also under last quarter’s $0.15. The company did not provide any guidance. Wall Street analysts have been becoming increasingly bearish over the quarter. 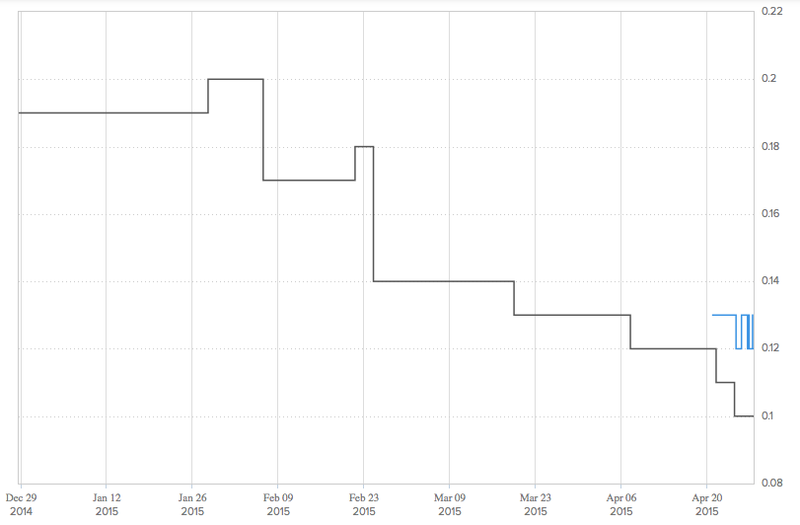 In late January, consensus stood at $0.20, flat year-over-year; as weeks went by, estimates were cut once and again, until reaching the current consensus of $0.10. Main Street, for its part, started weighing in on the results just recently, with their projections oscillating around $0.12 and $0.13. In a recent report, analysts at RBC Capital Markets said they expect Barrick Gold to report somewhat weak first quarter results, primarily on the back of lower production at its mines. Specialist Stephen Walker expects EPS of $0.07. A recent article covering Walker's analysis states: “the lowered estimate stems from lower throughput and grades at Goldstrike (as waste stripping continued at Deep Post), the early ramp-up of the Thiosulphate process, lower grades at Cortez Hills and routine maintenance at Pueblo Viejo."